Cracket Cottage in Westgate, near Stanhope, County Durham sleeps 4 people. Cracket Cottage near Stanhope is a traditional, cosy and welcoming cottage which is the perfect for guests wanting to enjoy a peaceful break in the Durham Dales. The small front garden leads directly into the comfortable living room, its open fire is perfect for warming the whole house on a winter’s evening. The kitchen is compact and practical, combining modern storage units with traditional cupboards and pantry. The steep cottage stairs lead up to the first floor, where guests will find a family bathroom and the double bedroom. A second staircase leads up to the very well-presented twin bedroom with super views. To the rear of the cottage is a small enclosed garden with a sitting-out area. There are views across the fields to the village church and the fells beyond, occasionally deer and rabbits stop to peer into the garden. 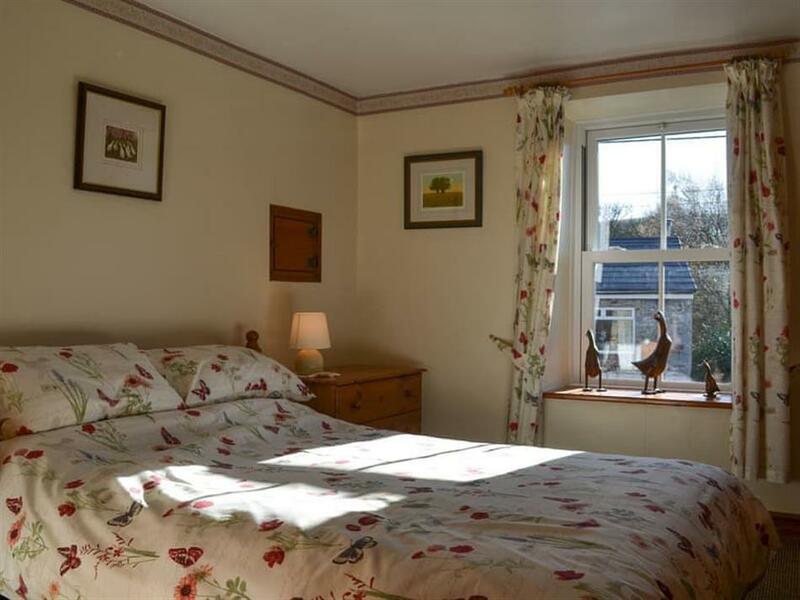 It is perfect for guests who enjoy walking or cycling with numerous footpaths that lead through the village, along the river and out into the fabulous countryside of Weardale which has been recognized as an Area of Outstanding Natural Beauty. The village pub is 50 yards away and has a restaurant and micro-brewery. Local shops including a Post Office, two cafés and two pubs are 1 mile away. Only 5 miles away from the popular town of Stanhope, guests will be able to visit the excellent Durham Dales Visitor Centre where there is a variety of independent shops, tourist information and a tea room. A couple of minutes further into Stanhope is a high street that is thriving with local businesses, shops, eateries and pubs as well as the open air heated swimming pool for those brave enough to give it a try. The Weardale Railway has a stop in Stanhope and is a great way of seeing the landscape and beauty of the area. Over the winter period this train turns in to the Christmas train and is a must-see for guests with families. A little further afield, but still within easy driving distance, guests will be able to visit the Lead Mining Museum in Killhope, Hamsterley Forest with its great cycle trails and fabulous walks, skiing in Westgate and the majestic sight of High Force waterfall. The cathedral city of Durham is just 45 minutes’ drive east and the bustling city of Newcastle is 45 minutes to the north, as is Gateshead which is the location of the Metrocentre and makes for a super trip out on a chilly day. Nestled in a small row of traditional stone terraced houses in a peaceful and tranquil location, Cracket Cottage is an inviting place to stay and is a great destination for enjoying some time away. The shop is 1½ miles from Cracket Cottage near Stanhope, with the pub and restaurant 50 yards from Cracket Cottage. 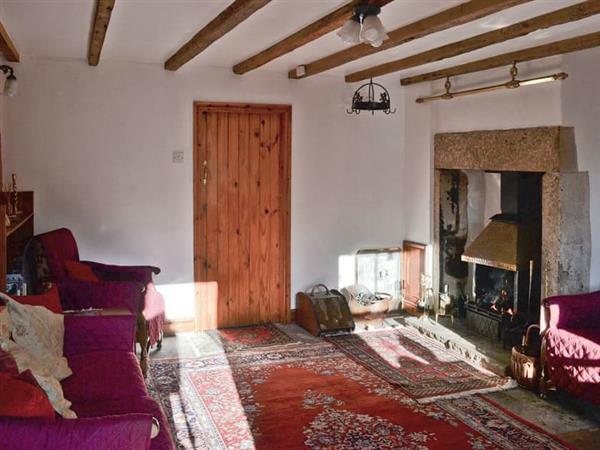 Living/dining room: With open fire, 32 Freeview TV, DVD player, beams and stone flag floor. Kitchen: With electric oven, electric hob, microwave, fridge, dishwasher and slate floor. Oil central heating, electricity, bed linen, towels, Wi-Fi and fuel for open fire included. Travel cot, highchair and stairgate available on request. Welcome pack. Small enclosed courtyard with sitting-out area, garden furniture and barbecue. Bike store. On road parking. No smoking. Holidays at Cracket Cottage run from Friday to Friday. Pets allowed at Cracket Cottage. For a better idea of where Cracket Cottage is, you can see Cracket Cottage on the map below. Cracket Cottage is in Durham; should you be on the lookout for a special offer, you can find all the special offers in Durham. It's always worth checking to see what is on offer at the moment. Do you want to holiday near Cracket Cottage (UKC3890), you can see other cottages within 25 miles of Cracket Cottage; have a look to find your perfect holiday location.